With over 15 miles of loops to choose from, Chickasabogue harnesses it's terrain to optimize a good workout. The Chickasaw Creek is a reprieve from the wooded Chickasabogue mountain bike trails. 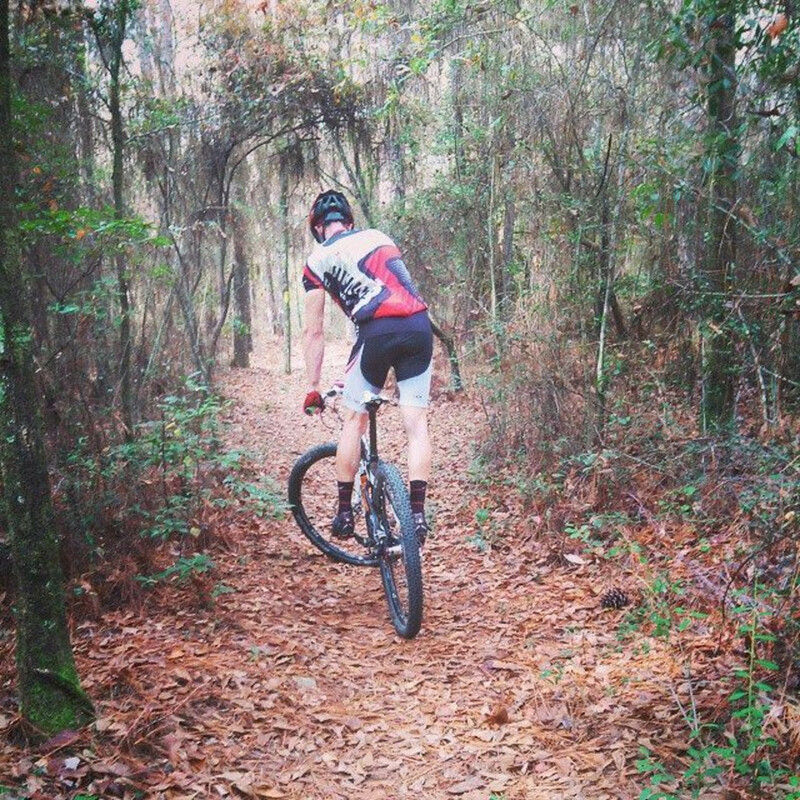 The Chickasabogue park near Mobile provides an extensive ride with 15 miles of singletrack. Difficulty due to needed maintenance for trail. The Chickasabogue Park is located in Eight Mile, Alabama, which is north of Mobile. The park and wildlife refuge is approximately 1,100 acres. There are 8 loops to choose from for a combination of 10 miles. The loops include the 0.7 mile Beach Loop and Hemp Trail, the 1 mile Indian Loop, the 1.5 Misery Trail, the 1.9 Black Forest Trail, the 1.6 mile South Trail and the 3.1 Cemetery Loop. There are 3 main routes that provides a longer loop, close to 14 miles. 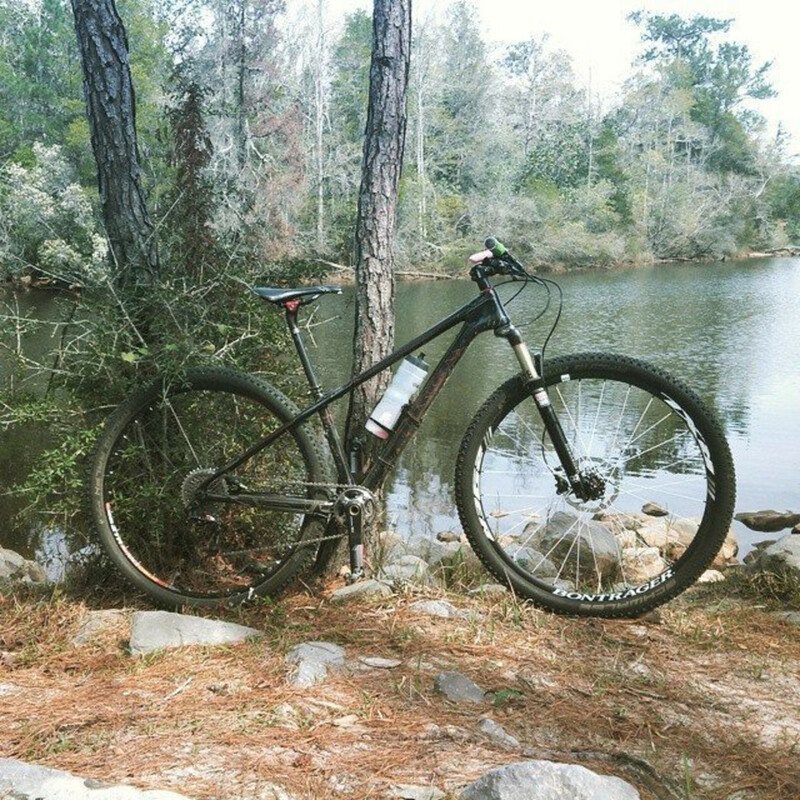 You can check the local South Alabama Mountain Bike Association, (SAMBA), for a map of the routes. Mostly singletracks, those looking for steep inclines and technical areas may not find those here. The Chickasabogue Park's many amenities do give it an advantage. The parking area is large and opened, secure with park guards. Picnic pavilions and restrooms are nearby for a quick change or rest stop. The park is home to camping and canoeing. Primitive camping is available making this park a great weekend get away. The Chickasaw Creek runs through the park, often times paralleling the bike trails and can be a welcoming sight after a complete ride through the dense forests. The trail tends to be flat for the most of the time but does include a few technical elements. This trail is not as well maintained as the other MBT's in the area leaving the natural overgrowth and pine straw to add to the trail's difficulty. There are a few small elevation changes, but nothing major. The Chickasabogue Park is located only 5 miles from Interstate 65 and is an easy safe place to park. 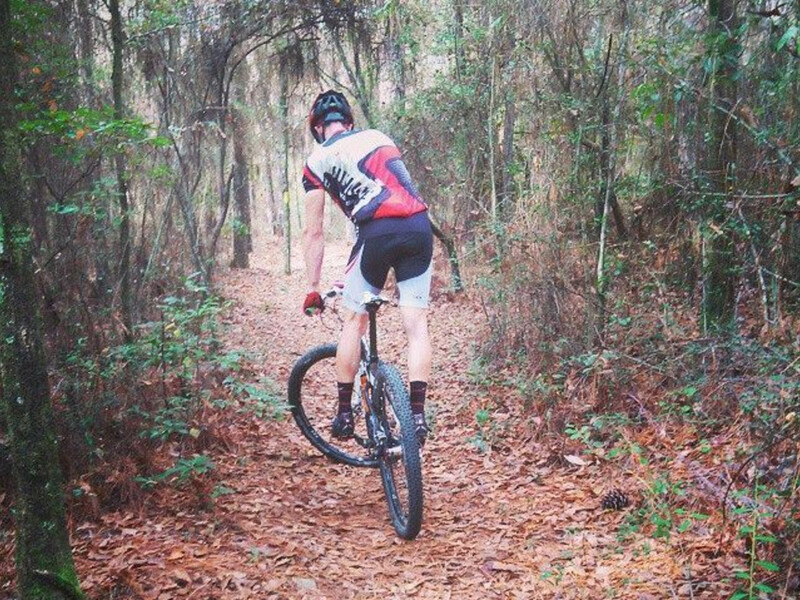 Not as crowded, you may be the only one on the trails. If you enjoy the casual ride through a more natural environment, Chickasabogue park will not disappoint you. If you are camping and looking for a chance to keep your skills in shape, this is the best of both worlds. The fact that the trail does run near the Chickasaw Creek gives it a nice appeal, an extra advantage if you are a kayaker too. From Mobile, AL take I-65 N for about 7 miles take Exit 13 AL-158/AL - 213 toward Citronelle/Saraland. Continue on Al-213 S for 4.6 miles to Aldock Road in Prichard. Parking is in located within Chichasabogue Park. There is a $1.00 entrance fee. The park is open from 7 AM until dust for day-use activities and 24 hours for campers.